The Duke of Cambridge and Enda Kenny will later pay solemn tribute to soldiers from Ireland's unionist and nationalist army divisions who fought side-by-side in the First World War. William and the Taoiseach will join Princess Astrid of Belgium at the centenary commemoration of the Battle of Messines in Flanders. The successful Allied offensive on June 7 1917 was the first occasion the 36th Ulster and 16th Irish divisions fought together in the front line. The two divisions predominantly comprised men who were on opposing sides of the great political upheaval back in Ireland around whether the country should be granted self-governance from Westminster. Former Stormont first minister Arlene Foster will also be among invited dignitaries at the joint UK and Irish event in Belgium. The commemoration will focus on the Island of Ireland Peace Park at Messines. The park was built in 1998 - the year of the historic Good Friday peace agreement - to mark the sacrifice of all those Irishmen who fought and died in the war. Mr Kenny and the Duke will later visit nearby Wytschaete Cemetery, where many of those who died now rest. The village of Wytschaete was captured by the 36th and 16th during the Battle of Messines. A new memorial erected at the entrance of the cemetery last week depicts a scene that many believe encapsulates the legacy of the day Irish Protestant and Catholic soldiers fought together - the attempted battlefield rescue of fatally wounded 56-year-old nationalist Home Rule MP Willie Redmond by a young unionist private, John Meeke. Major Redmond's brother John was the leader of the constitutional nationalist Home Rule movement. Members of the Redmond family are due to attend Wednesday's commemorations in Belgium. The capture of Messines Ridge was a key objective of the Allied Forces ahead of their mid-summer 1917 offensive on German lines between the nearby town of Ypres and the small village of Passchendaele - a battle that has since become synonymous with the horrors of trench warfare. The Allies sustained around 10,000 casualties during the Battle of Messines, the Germans around 25,000. Between them the 36th and 16th lost around 2,500 killed, injured or missing. The two divisions fought together only twice in the First World War. The second came in a heavy defeat, two months after Messines, during an ill-fated offensive at nearby Langemark in the first weeks of the Battle of Passchendaele. 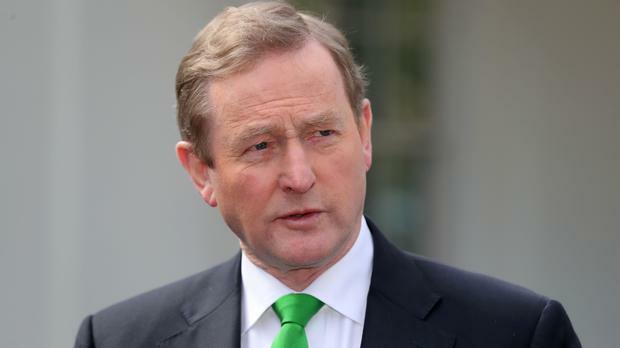 The commemoration in Belgium is set to be Mr Kenny's last overseas engagement as Taoiseach ahead of him stepping down from the role later this month.